In October, musicians Allison Lima and Jennifer Licko sat down to discuss music and the American culture on the the EAC campinas. Allison Lima, son of Chitãozinho, just released his brand new EP under Universal music and was very kind to spend an afternoon at his former school for this interview. The Campinas Chapter of Amsoc is pleased to announce that our local charity - Grupo Primavera has invited all Amsoc members from Campinas as well as from São Paulo to the play / Musical that they are putting on at the Campinas Municipal Theater Castro Mendes on the 28th of September. It is free of charge and this invitation is designed as a thank you to the various groups and companies who have helped fund the charity throughout the year. This year in August Amsoc was proud to present a check for over BRL $15000,00 and therefore all AmSoc members can attend this event with pride. This event is the climax of work done with the kids throughout 2017, it has been professionally prepared and painstakingly rehearsed and will be held in a very fine venue. Many of the children who have been cared for on the Grupo Primavera premises will of course be performing. Bridging Campinas and São Paulo, the Campinas Chapter of AmSoc offers members a wide array of specialized events, targeted programs, and valuable resources. Our first year was a busy one! Starting the year with a bang the Campinas chapter Amsoc or CAmSoc as we have come to be known organized what we expect to become an annual signature event, A St Patrick’s Day evening. We also organized a very successful Let’s Connect event with the Brazilian Minister of Planning who flew down to Campinas to meet our charity and talk to over 150 regional top executives and entrepreneurs about his vision for Brazil. Partnering with Escola Americana de Campinas (EAC) our chapter’s founder was instrumental in setting up the first “Jogando Juntos” Sports camp which was run by IB students for underprivileged kids from Grupo Primavera who are supported in part as AmSoc’s chosen charity for Campinas. For, 2018, in addition annualizing our most successful events CAmSoc is partnering with EAC to aid in targeted community outreach programs. CAmSoc is everything you love about AmSoc and more. New faces, new events, new programs, and new purpose! Campinas is a pleasant one hour drive from São Paulo and remember that All AmSoc members have access to all events including Campinas events. Our partnership with EAC helps facilitate an instant support network for all newly arrived EAC families by providing a calendar of social events, new initiatives for families to participate in safe and rewarding Community Outreach programs with the objective of growing the whole AmSoc family. CAmSoc is special in that our expat community is quite small and therefore members come from a wide variety of backgrounds and nationalities. This creates a wonderful melting pot of goodwill which is committed to building bridges within the community and offering ever better programs and events for our members. Welcome home, AmSoc! The 2-month launch of the Campinas Chapter has officially concluded and we are home. It was a wild ride of Irish jigs, paint rollers, diplomats, chocolate eggs, new members, and “Let’s do this!” volunteers. Each new member, launch event, and Reals raised is a resounding testament to the power of community and the power of Campinas. We are #campinas2gether. As a chapter, AmSoc-Campinas now stands 45 members strong, with 38 Family and 7 Individual memberships. An incredible base to build a lasting foundation including members from all over the world (Brazilian, American, German, Norwegian, Belgian, Mexican, Korean, Irish, Italian, Japanese, Argentine, Uruguayan, Turkish, Chilean, Paraguayan, Dutch, and Canadian). The launch also facilitated new community outreach programs and partnerships. We are thrilled to collaborate with Escola Americana de Campinas, Hotel Vitoria, PPG, Renner Paint, and 3M to develop sustainable community outreach programs, projects, and events. The proceeds from this year’s launch events will help us fund a critical electrical repair project for Grupo Primavera. The facility was struck by lightning several months ago damaging circuit breaker boxes and wiring throughout the facility. These funds will facilitate the much needed repairs and installation of lightning rods. More than 50 volunteers rolled up their sleeves for the first Paint It FORWARD event at Grupo Primavera. Volunteers spent the day prepping, taping, and painting Grupo’s foyer, common areas, and cantina. It was an overwhelming success thanks to all of the incredible volunteers. We are excitedly working with PPG to plan the next colorful event...stay tuned. A warm Obrigada to all of the volunteers and our generous donors: PPG, Renner Paint, 3M, and The Ballew Family. What’s a few broken eggs? After the untimely cancellation of the Easter EGGstravaganza due to Yellow Fever Health Advisories, the Campinas Chapter filled our baskets and headed to Grupo Primavera for a surprise Easter Party. Nearly a dozen volunteers quickly pulled together to coordinate an unforgettable party for 80 kinder-aged children. The day was bustling and hopping with face painting, games, crafts, story time, sweet treats, photos, and the best Easter Bunny this side of the equator! Many many heartfelt thanks to everyone who helped make this event possible...You Are The Difference. What better way to turn life’s lemons into something EGGceptionally sweet. 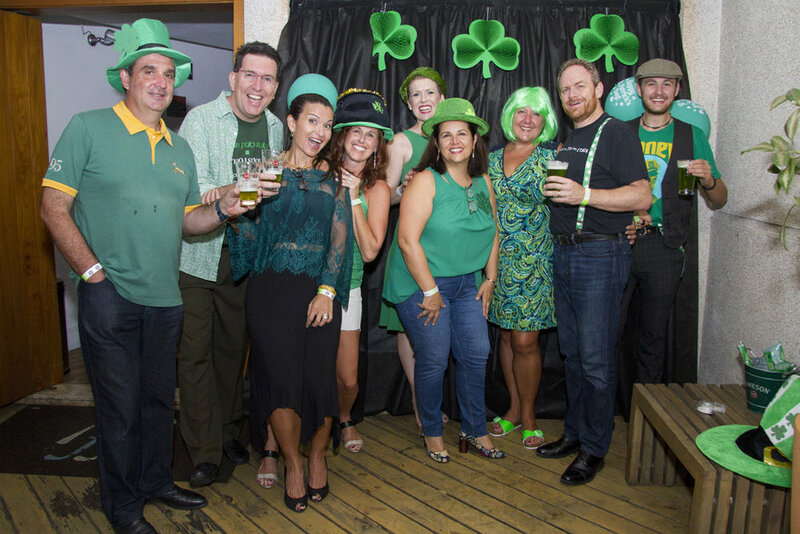 Irish eyes were a smilin’…and singin’ and dancin’ at the 1st Annual AmSoc-Campinas St. Patrick’s Day Party. Hosted at the swanky Iff Lounge, Jennifer Licko, Ceol, and Charlotte Station brought the house down with ground shaking traditional Irish music and rock ‘n’ roll. The fiddle playing, bodhran [bow-rawn] beating, whistle jigging, and heart-pounding vocals had party goers stomping and clapping well into closing hours. The Cia Celta Brasil Dance Troupe wowed the crowd with their phenomenal Irish footwork and incredible toe tapping choreography...not to mention a raucous dance lesson or two. The green icing on the cake was the mouthwatering Irish meal followed by a slap yo’ paddy Guinness chocolate cake expertly crafted by the Head Chef of Bellini Restaurant. Outstanding! A special thanks to the Iff Lounge, Bellini Restaurante, Celso de Menezes Photography, AND our Shamrockin’ Volunteers - Malcolm Macdonald, Maria Delman, The Page Family, Claudia Monaci, Lisa Sone, and Hannah Angermeier. Cost: Free of charge. Gratuity accepted. The hall is small, I would suggest arriving a little early to guarantee a seat on the main floor; there is a balcony with additional seating. One of the original founders of the Escola de Artes Pro-Musica was Kay F. Brown (an American choir conductor and flutist originally from Wisconsin). Kay was also the music director at the Presbyterian Church of Guanabara. Her husband, Keith Spalding Brown (Unicamp), is one of the foremost researchers on mapping and conserving butterfly biodiversity in the Brazilian Amazon. In 2017, Pró-Musica is celebrating its 40th anniversary with the inauguration of its new concert hall dedicated to Kay Brown's memory. It has also programmed some excellent weekly concerts throughout the year. The school is currently owned by Marli Rossin, B.S. in Art Education and Carlos Wiik. a pianist with a Master’s in piano performance and Ph.D. in Music Education from the University of Florida. Maurícy Martin has presented recitals and chamber appearances throughout Brazil, the U.S. Argentina, Italy and Serbia. As an orchestral soloist, he has worked under some of Brazil’s most important conductors. His playing has been praised for its ”clear, clean, beautiful sound“ while a performance of Alberto Ginastera’s Sonata no. I was noted as “showing profound musicality and understanding of the inner soul of the music, as well as technical facility at the highest level”. 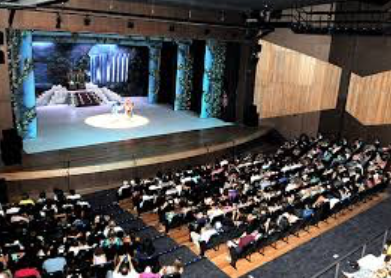 Palanka International Piano Festival (Serbia) currently in its third edition. His summer program “Paraty Pianist Encounter” was warmly acclaimed: “as an encounter that will attract the most gifted young pianists from across the world…and contributes to the development of a new generation of pianists” (Kenneth David Jackson, Yale University). Maurícy Martin holds degrees from Boston University, Indiana University and Indiana State University. A professor of piano at the University of Campinas, Maurícy lives in Campinas with his wife Kathleen Martin. The Edino Krieger Quartet is string ensemble established in the Campinas region. The artists Igor Nogueira, first violin, Yuri Yatsuda Miranda, second violin, Valdeci Merquiori, viola, and Geneses da Silva Oliveira, cello perform and teach at major regional orchestras and conservatories in Campinas, Piracicaba and Tatuí. The quartet has been mentored for the past three years by the hailed Arianna String Quartet (St. Louis) and has been invited to perform in the its Chamber Music Festival this year. The quartet took its name from one of Brazil’s key figures in Brazilian music. Edino Krieger, born in 1928 in Santa Catarina, is a composer, music critic and cultural producer. His work, polymorphic and diverse in style, includes music for symphony and chamber orchestra, oratory, chamber music, works for choir and voice, instrumental solo, as well as music for theater and cinema. Highlights for the 2017 season include performances of Beethoven’s Quartet Opus 18, no. 3 and Antonin Dvorak’s Quartet Opus 96, no. 12. In April, with guest pianist Maurícy Martin, they will perform Dvorak’s Piano Quintet Op. 81 acknowledged as one of the masterpieces in the genre with performances at the Escola de Artes Pró-Musica (4/2), the University of Campinas (UNICAMP) (4/19), and in São João de Boa Vista (4/23).